Expert wood siding repair, maintenance, and installation services in Northern Virginia and Southern Maryland. Solid wood remains a favorite cladding solution for many traditional homes in Northern Virginia and Southern Maryland. Wood siding on a home exudes warmth, beauty and charm, compliments many architectural styles and can create a wide variety of looks. 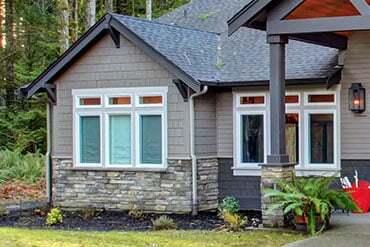 Additionally, the large selection of wood species, in combination with a multitude of siding patterns, offers homeowners practically an endless array of style and design options to achieve a look and character unique to each home. Cove Lap (also Dutch or German Lap) Siding is one of the oldest siding styles around. 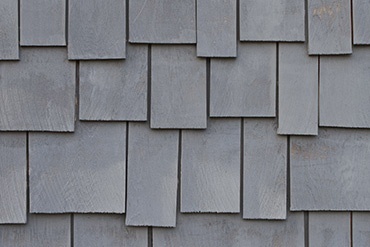 It is similar in appearance to traditional siding but for a decorative groove in the top of the board. 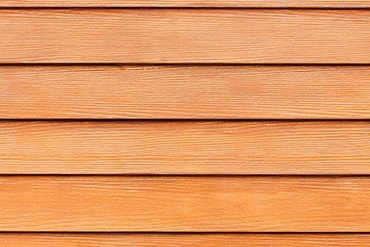 Bevel Siding is common with Western Red Cedar, and it is perhaps the most widely-used siding style. It is beautiful in appearance, and straightforward in function. 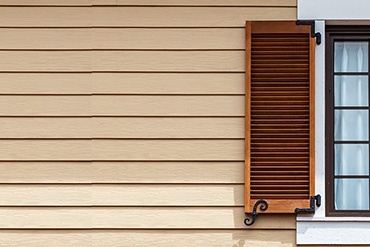 Channel Rustic Lap Siding is designed to look like traditional wood siding, but without the splits and cracks. 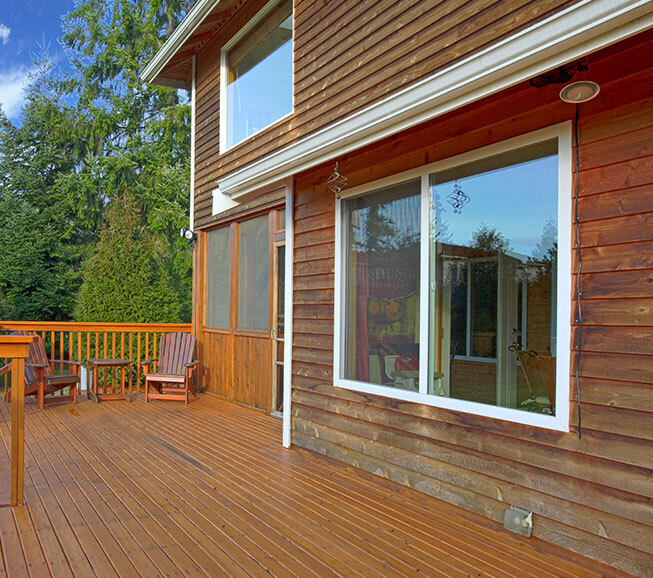 Wood siding requires more maintenance than vinyl siding and fiber cement siding. Wood must be treated, and painted or stained every 5-10 years, depending on wear. If wood siding is not properly maintained, it becomes susceptible to rot, decay, swelling, insect infestation, mold and mildew and fire. However, with normal maintenance and care, wood siding is durable, resistant to the elements and may easily outlast vinyl siding.